Ice hockey is one of the world’s fastest growing sports. No longer limited to northern climates, new leagues are forming in countries like China, South Africa, and Australia. There are new faces on the ice, too, given an increasing number of leagues for youth, professionals and women. In response to this growing demand, the new book, “Skating Thru Hockey: A Fan’s Guide to Youth, College and the Professional Game” offers a comprehensive guide to this dynamic sport. It provides the basics for understanding hockey – including the various levels, how it is played, and the basic offensive and defensive situations. It also includes a close-up look at what happens before, during, and after the game, as well as a description of some of the most common penalties and a glossary of terms you will hear from play-by-play announcers. It is written in a user-friendly format and drawn from the authors’ combined years of experience with hockey as spectator, player and college coach. The co-authors have a wealth of experience between them. Coach Tim Whitehead, Head Hockey Coach at the University of Maine from 2001-2013, is a six-time finalist for the Spencer Penrose Trophy as Division I National Coach of the Year (winning in 2002). As Maine’s coach, he led the team to seven NCAA tournaments, as well as two National Championship games. He also played professional hockey in Europe before beginning a coaching career in New England. 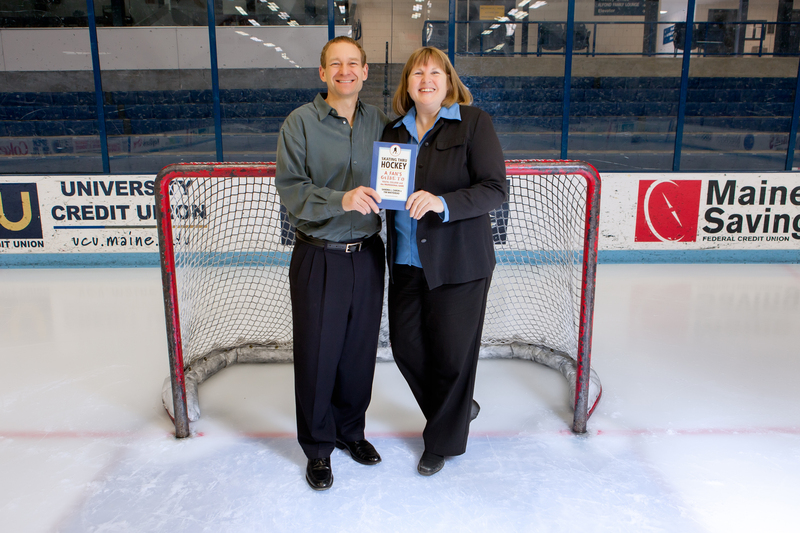 Sandra L. Caron, Ph.D., has been involved with sports throughout her career. 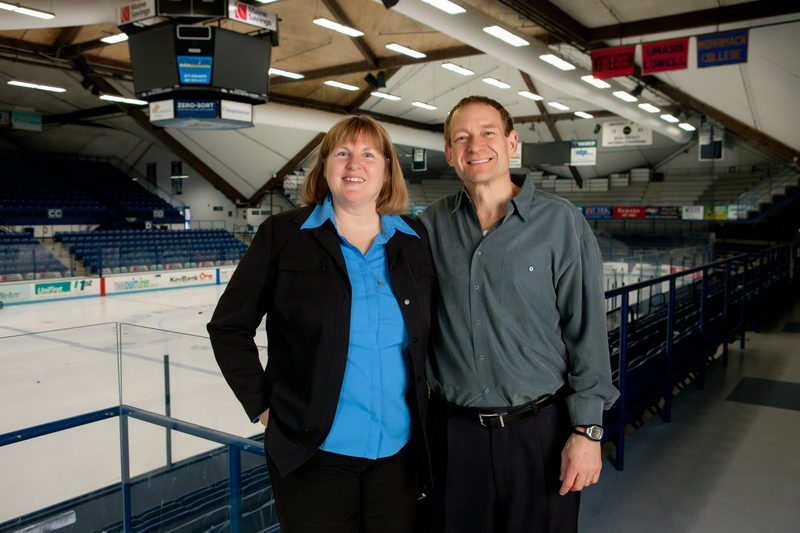 A Professor of Family Relations and Human Sexuality, she established the nationally-recognized peer education program, Athletes for Sexual Responsibility, and serves on the University of Maine Athletic Advisory Board. She co-authored another definitive guide, “Tackling Football” with coach J. Michael Hodgson, which is available in two versions on Amazon.com, and developed Hockey, the Card Game for youth, college and pro teams. This book will appeal to a wide range of readers. If you’re someone who has a new “Pee Wee” in the family and need a better understanding of the basics, this guide will take you through the game’s setting, rules of play, and various team positions. Interested in learning how your favorite player can become a champion? This book will take you from the opening face-off to final goal, explaining referee calls and different levels of play, and offering insights into some team strategies along the way. Those who have always followed the game will find some fascinating facts about the sport’s formation and its rich history. Although hockey did not gain a big following in this country until1980 – when the U.S. team won the Olympic gold medal – the National Hockey League was organized almost a century ago. Many of hockey’s early players were women; in fact, one of the sport’s highest awards, the Stanley Cup, is said to have been created due to the enthusiasm of one of the first women to play hockey in 1892. In recent decades, the excitement of the game has carried it to new audiences around the world. The International Ice Hockey Federation (IIHF) now has over 70 member countries, and the list is growing. One of the most prolific areas of growth is in the women’s leagues, which have exploded in recent years. It’s reported that these women athletes have increased by 350% in the last decade. Youth hockey teams have also expanded; there are levels that range from the very young (players can start off at age 6 in the Mite leagues) to the semi-professional divisions within the National Collegiate Athletic Association (NCAA). Whether you are a new fan or a veteran of the game, “Skating Thru Hockey” will enrich your understanding and enjoyment of this fast-paced sport on ice. Published by Maine College Press, Inc., the paperback and ebook are both available through Amazon.com.